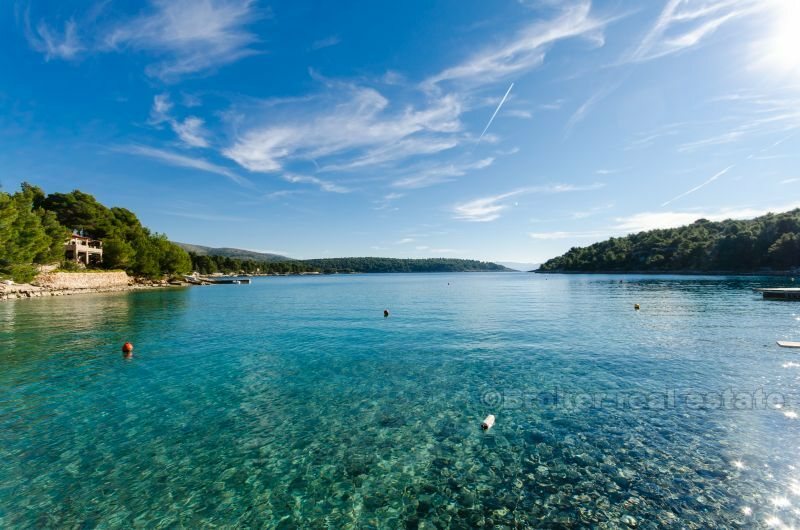 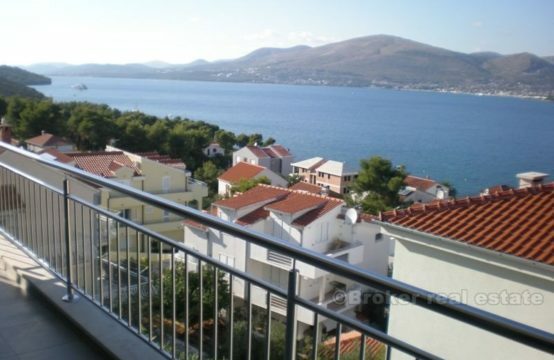 Rarely can find a large building plot by the sea in Croatia. 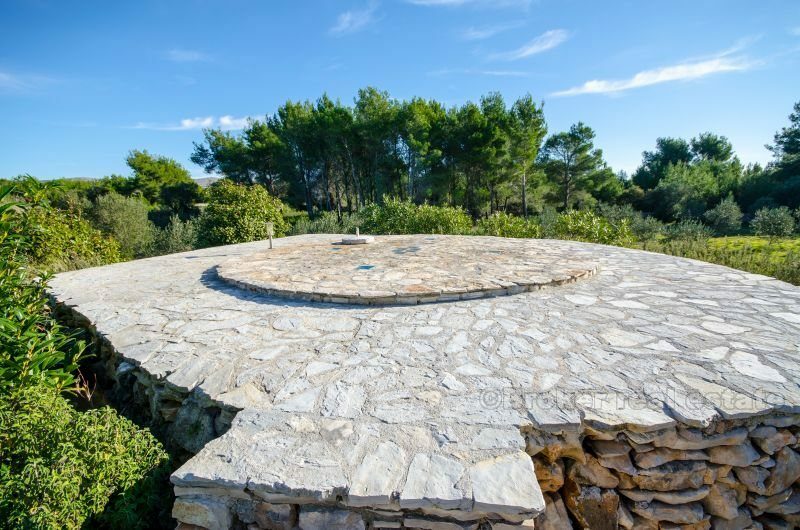 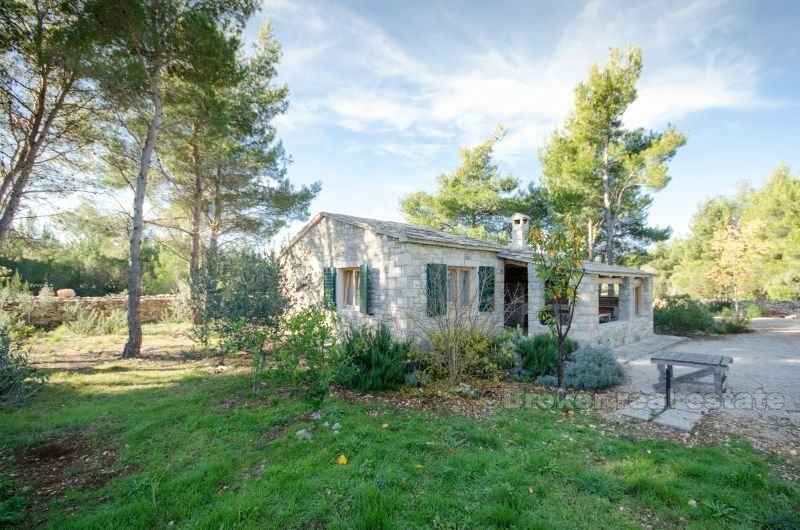 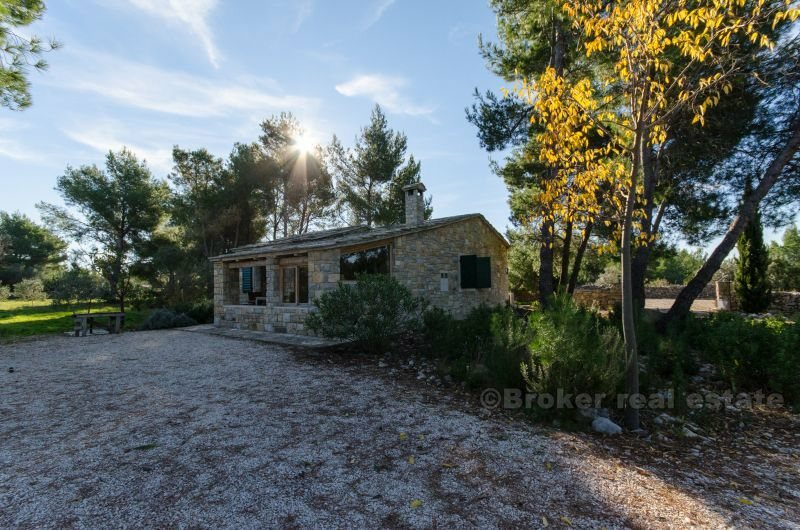 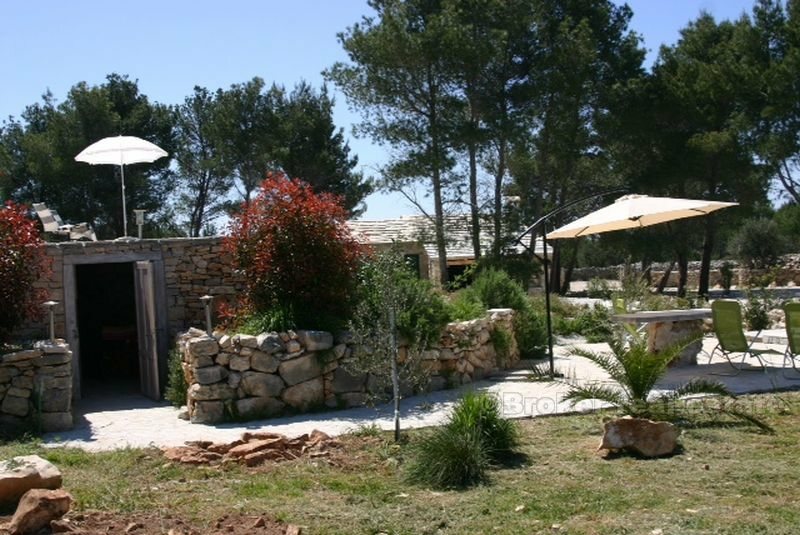 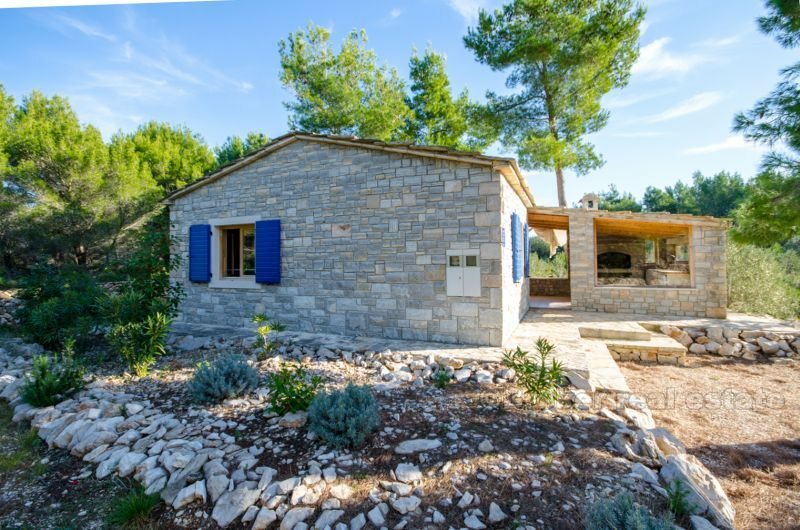 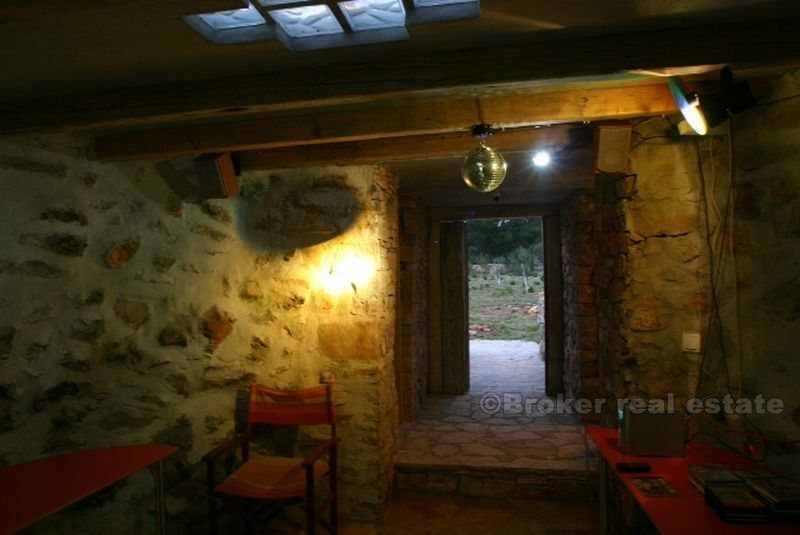 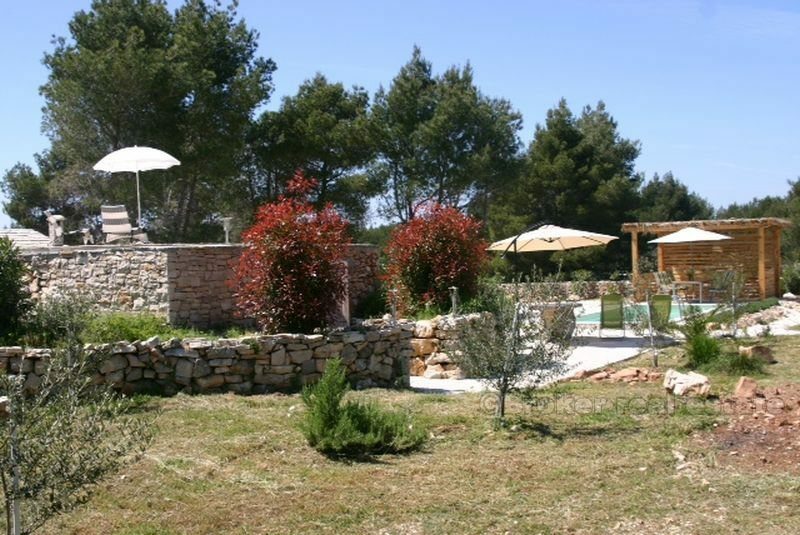 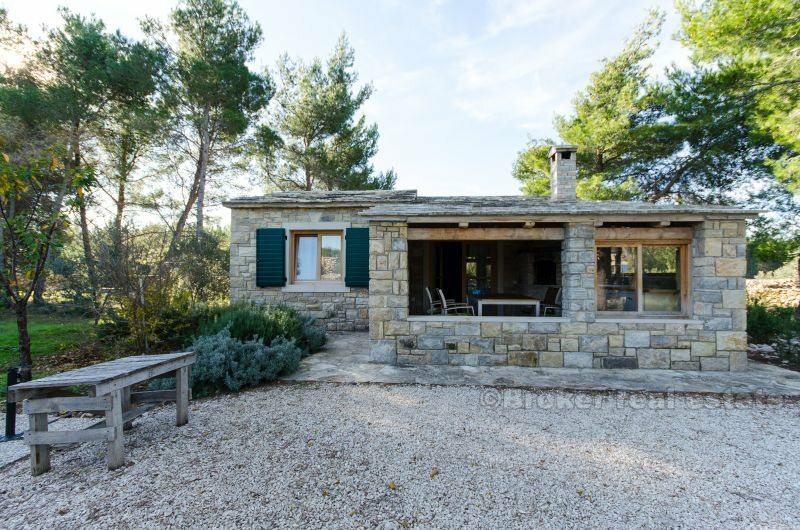 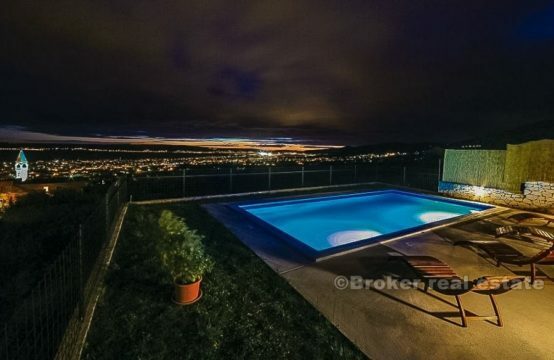 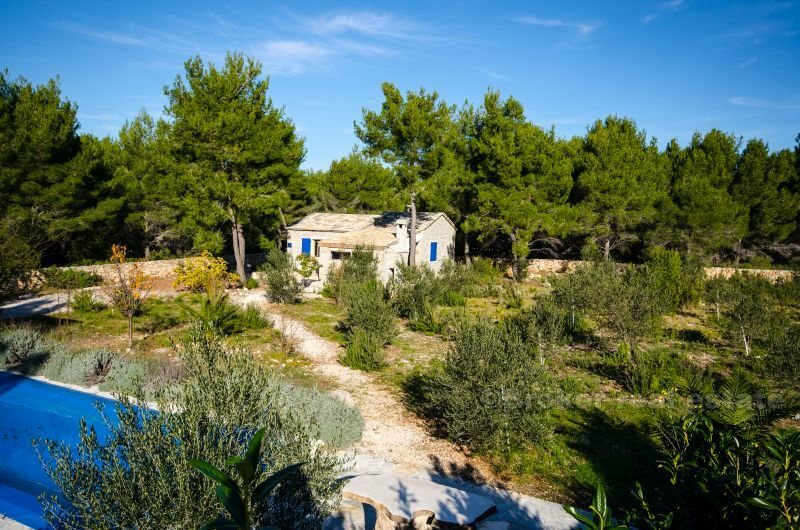 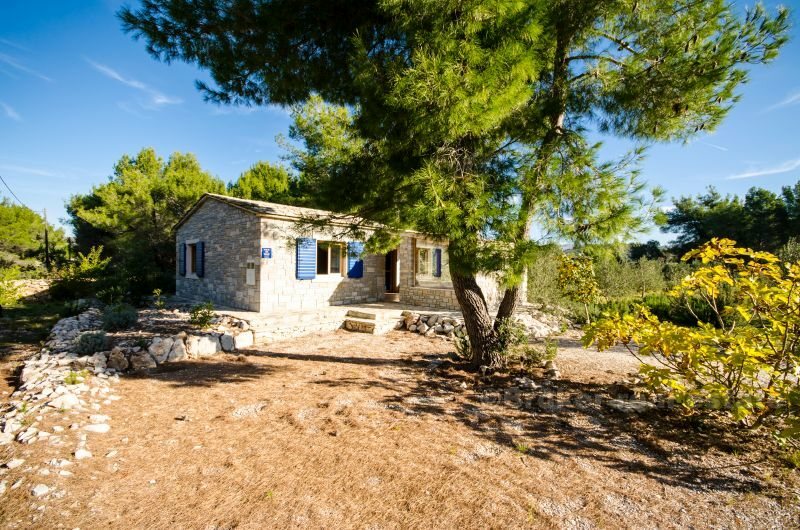 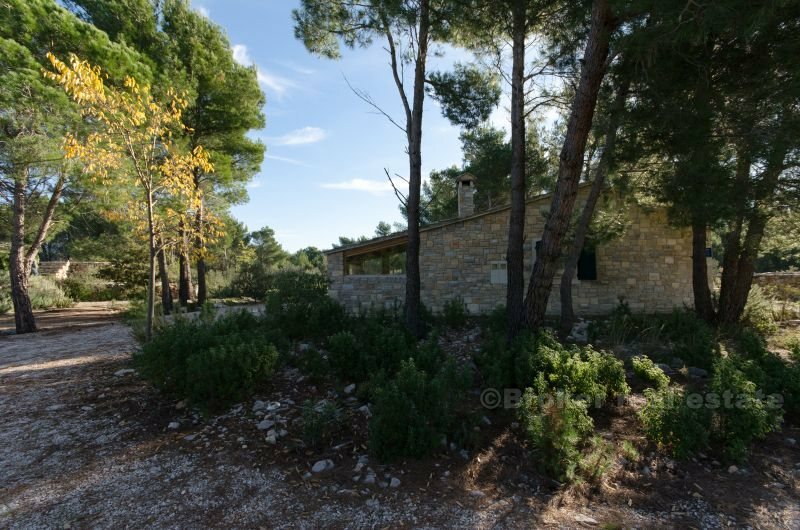 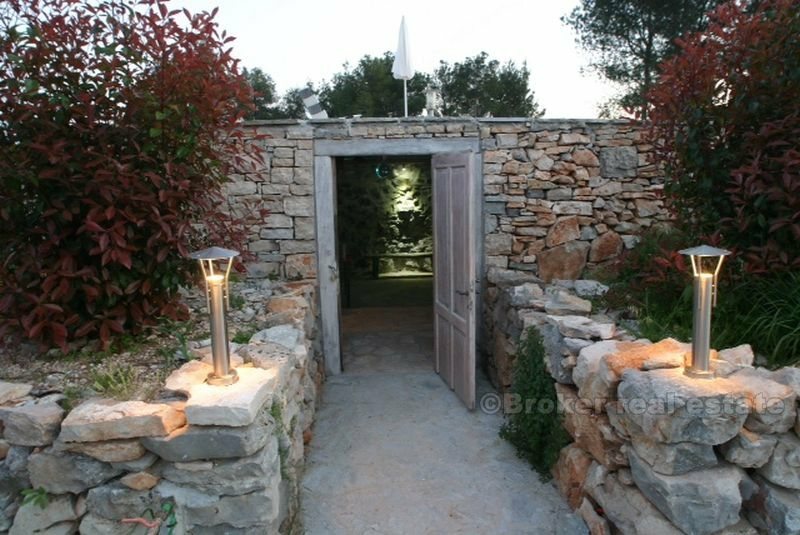 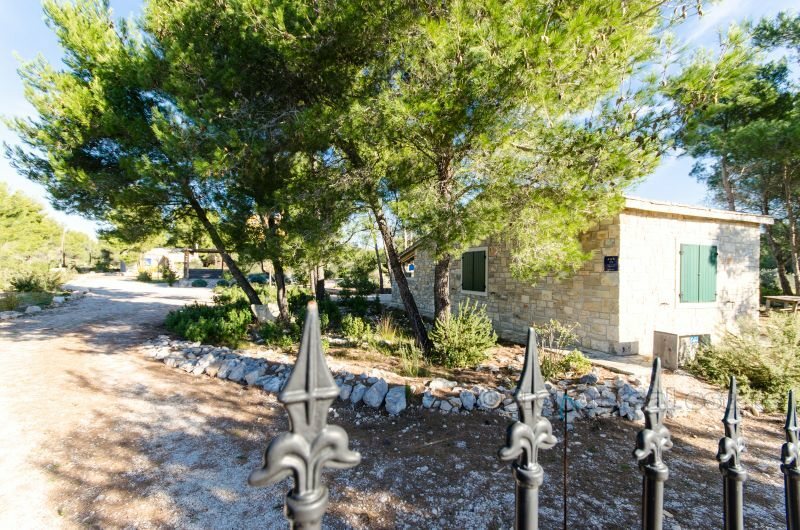 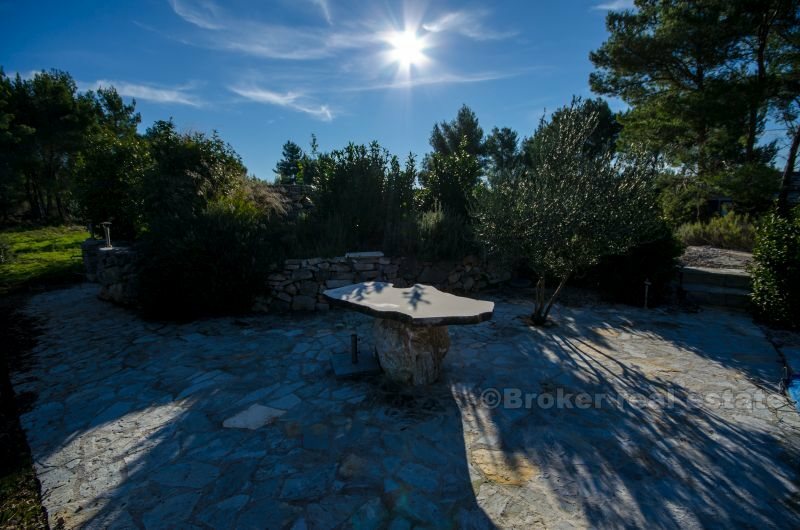 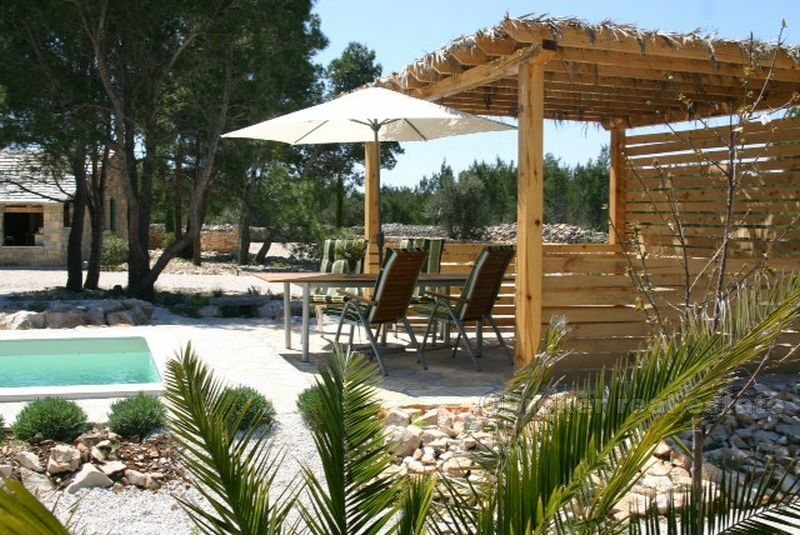 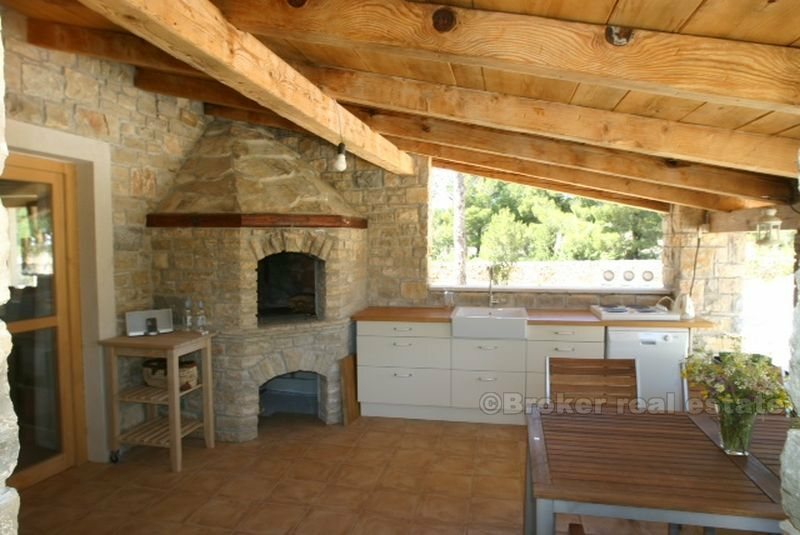 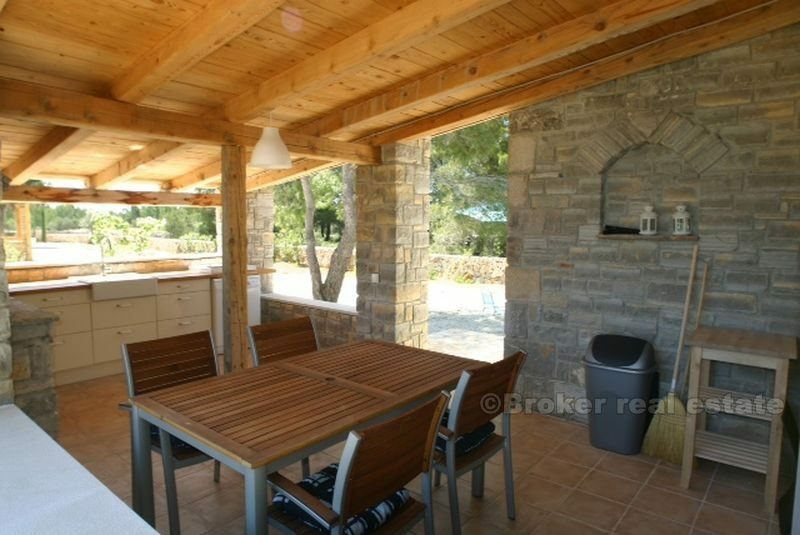 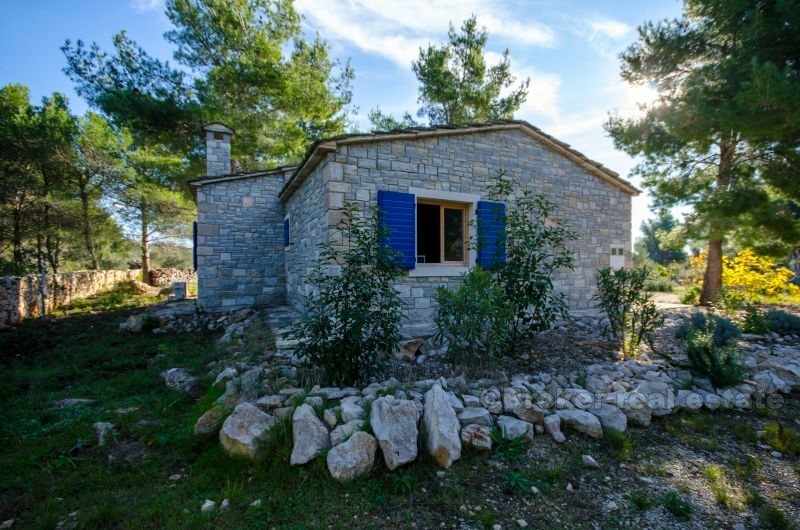 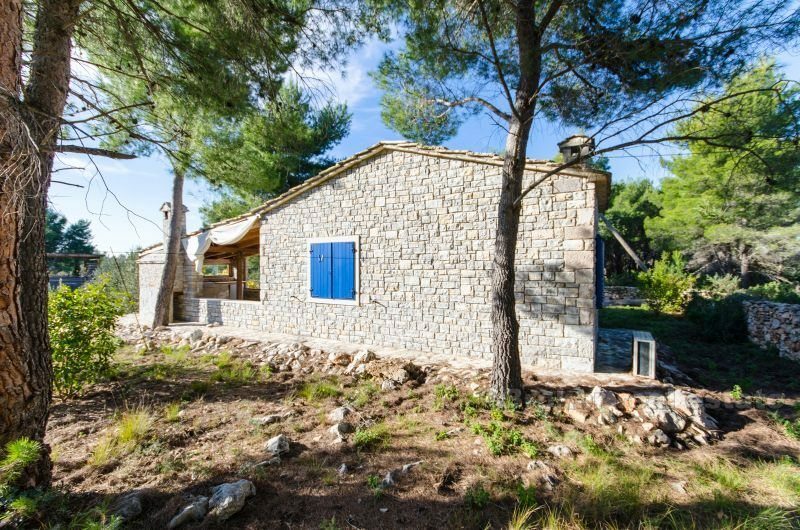 This unique property of 7071 m2 of land with two houses in authentic Dalmatian style with pool and furniture. 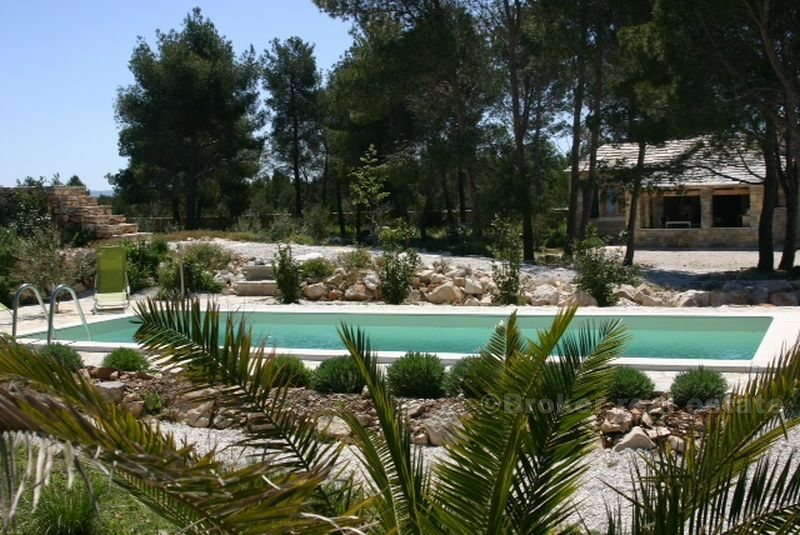 Both houses are the size of 75 m2, what gives a total living area of ​​150 m2. 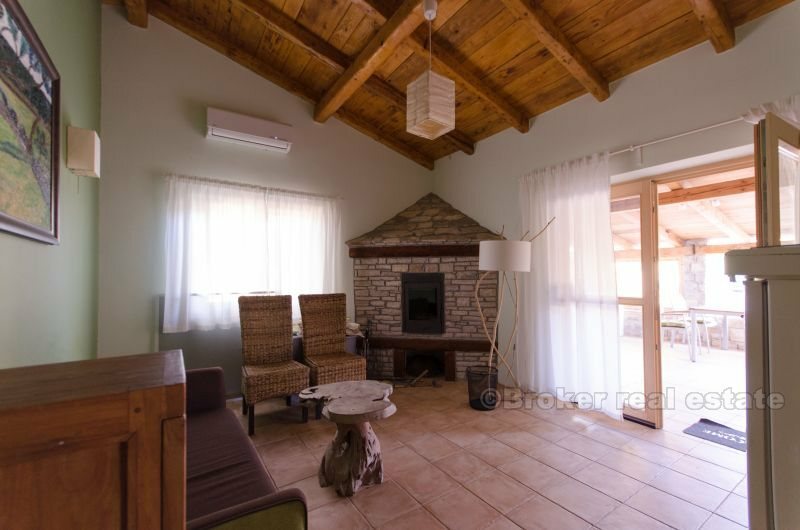 It consists of 2 bedrooms, 1 bathroom, living room, open kitchen with optional outdoor kitchen on the terrace. 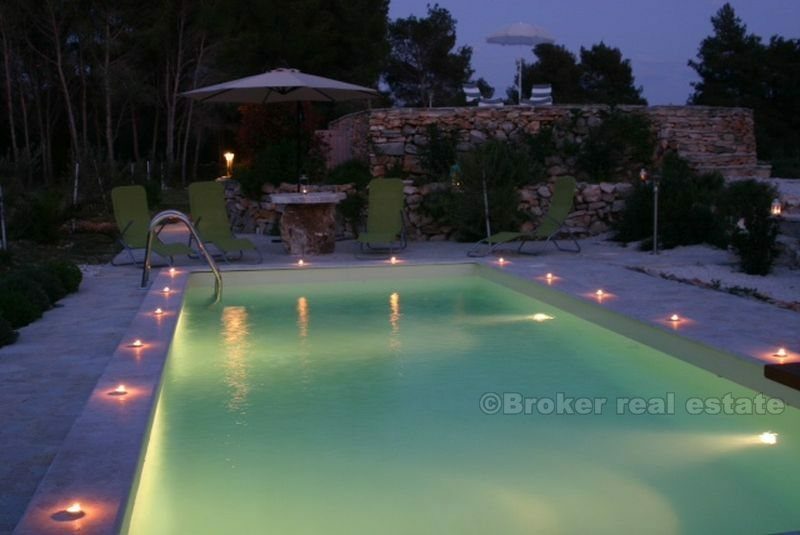 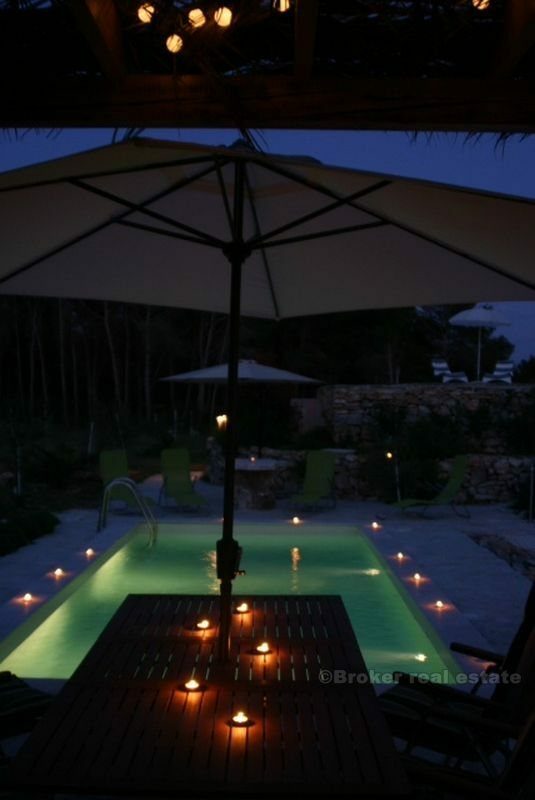 The pool is located between the house where there is a large terrace with a pergola. 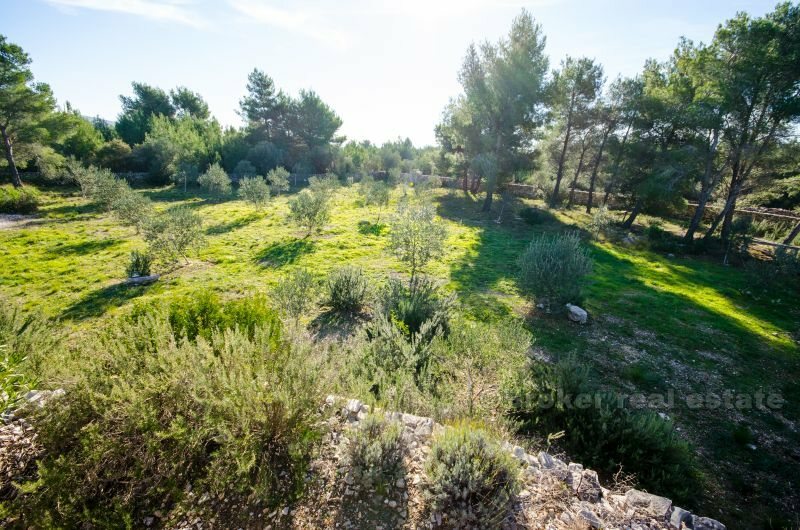 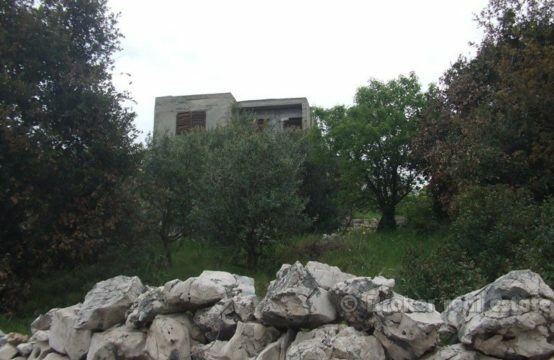 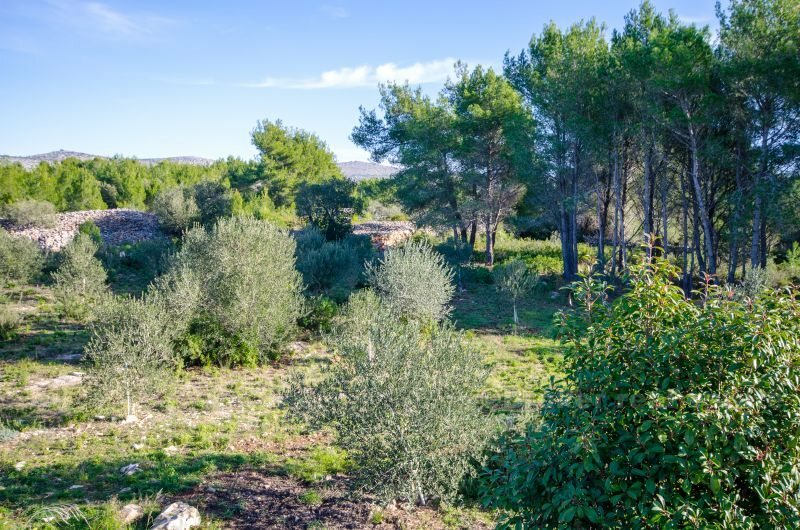 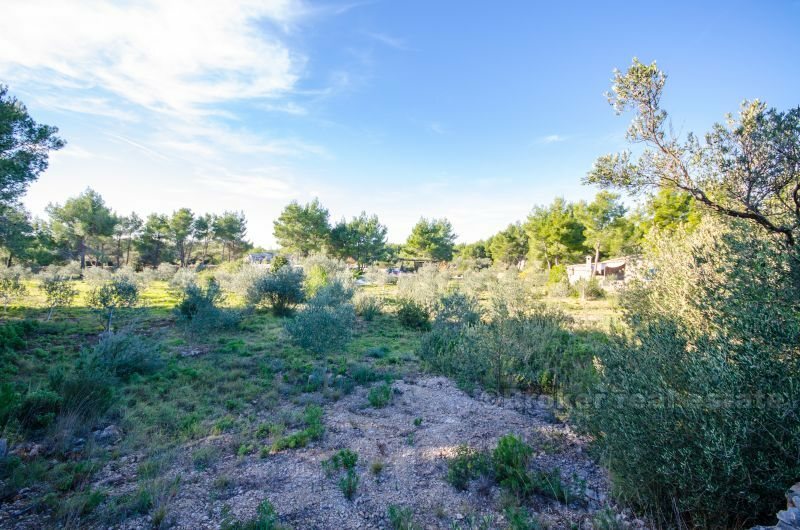 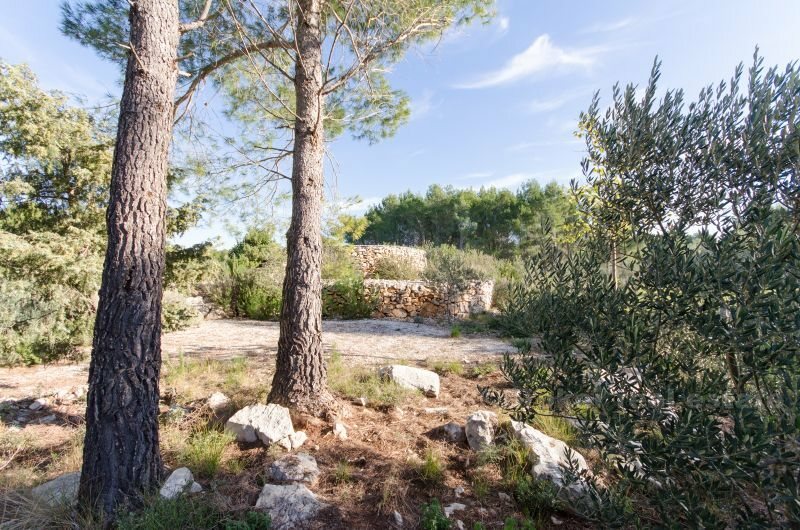 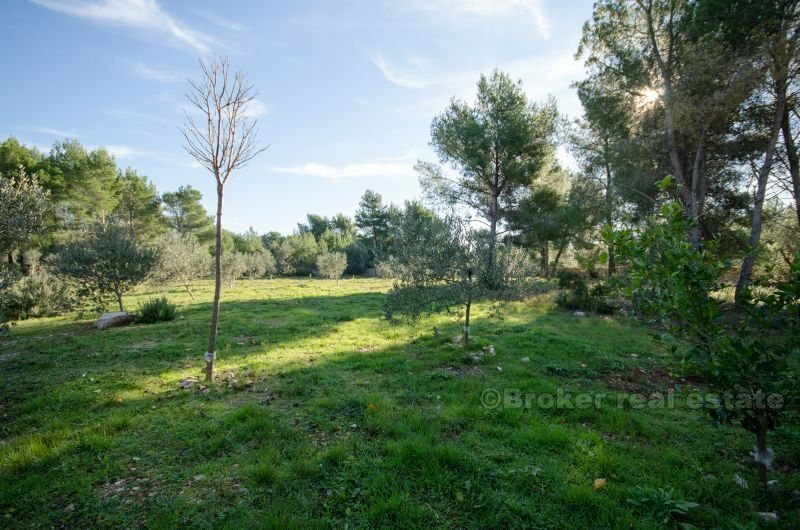 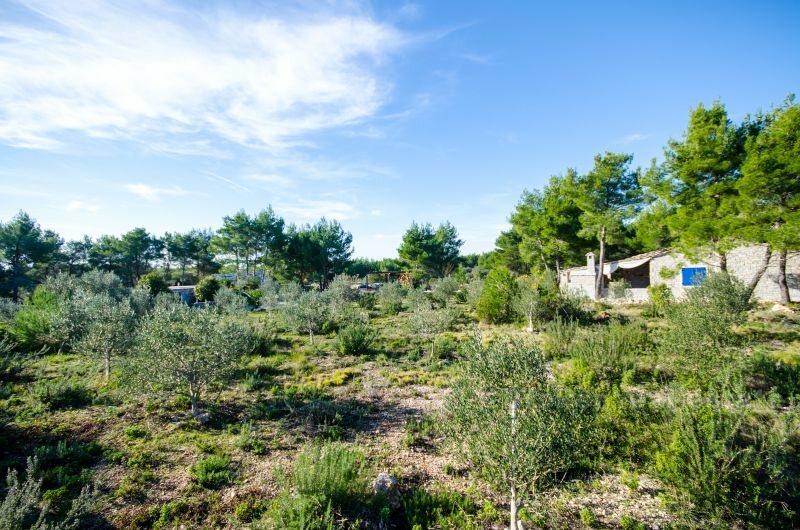 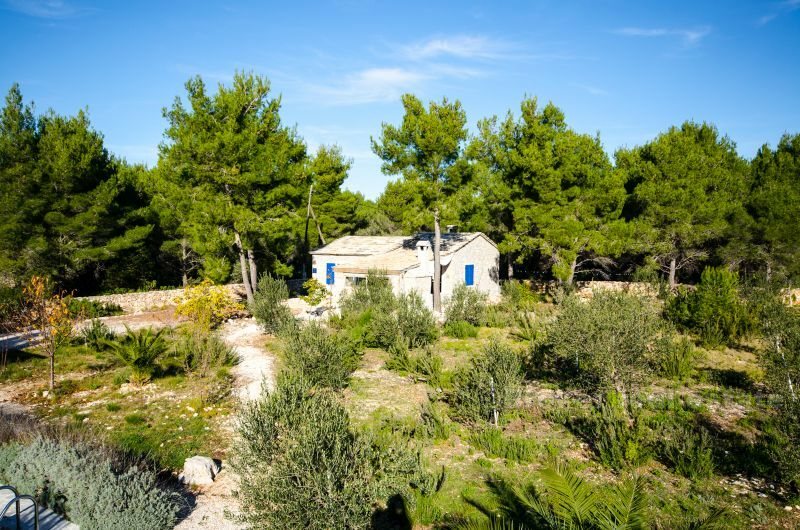 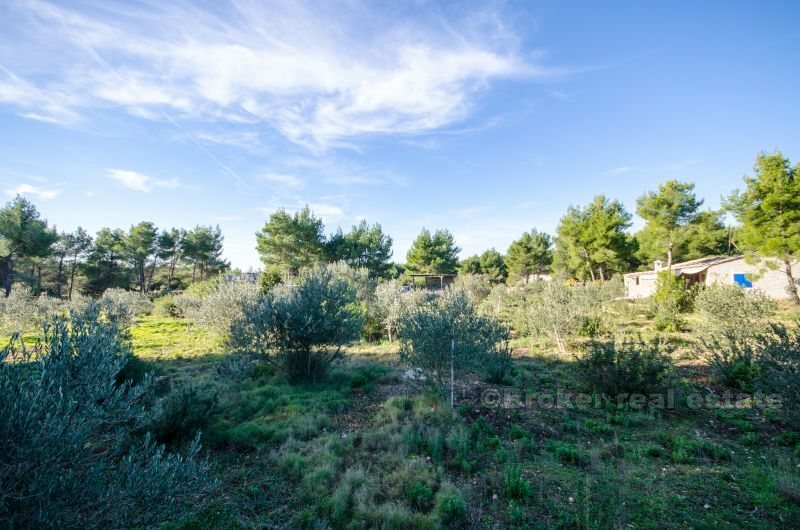 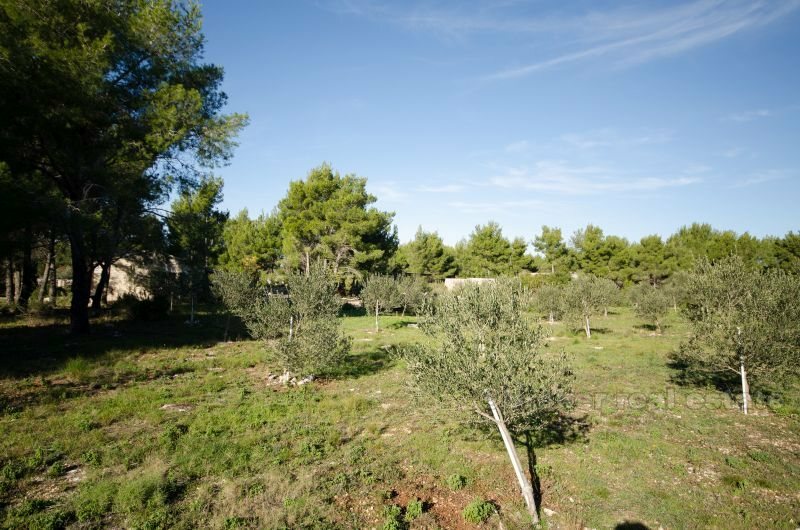 The land consists of green areas, pine trees and olive groves with 150 trees. 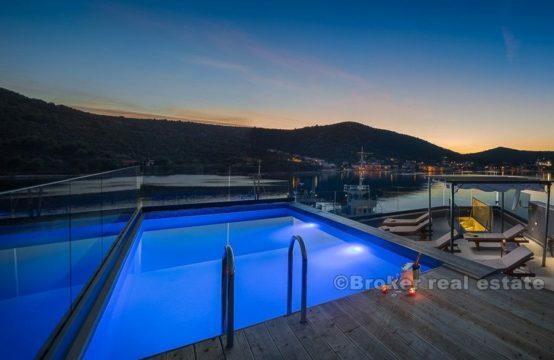 From real estate to a beautiful bay with a restaurant / cafe is leading the way (600 m), while the other path leads to a beautiful coastal town with a marina, 1 km away. 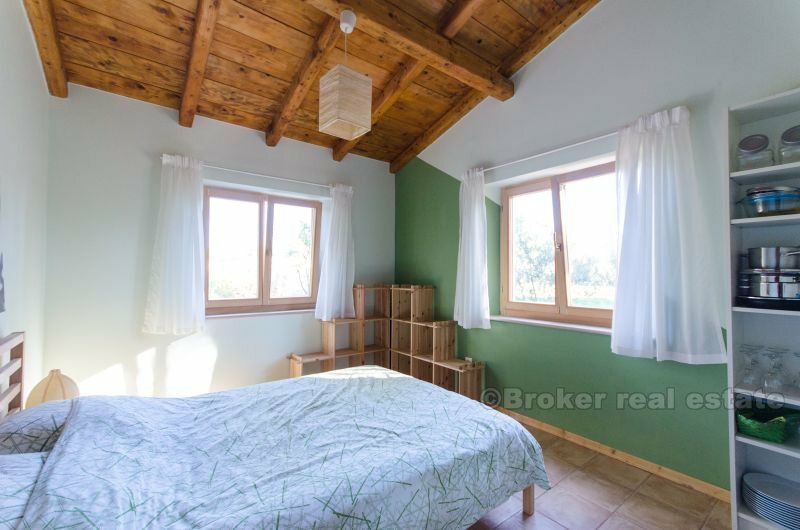 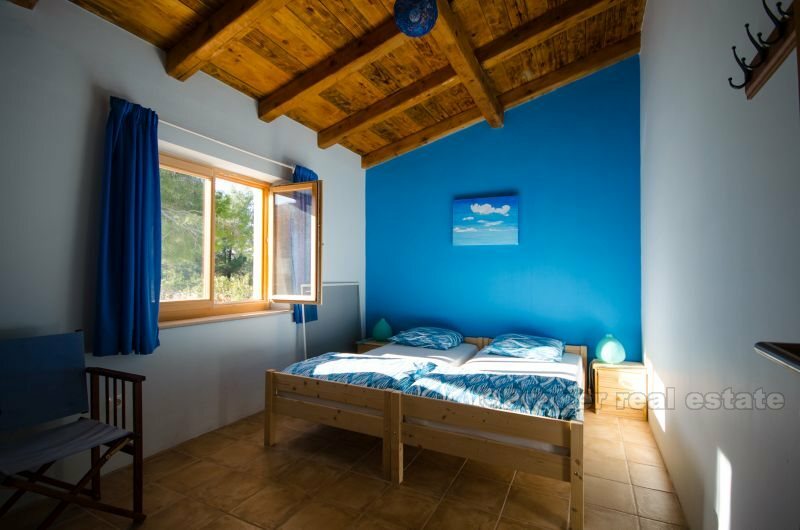 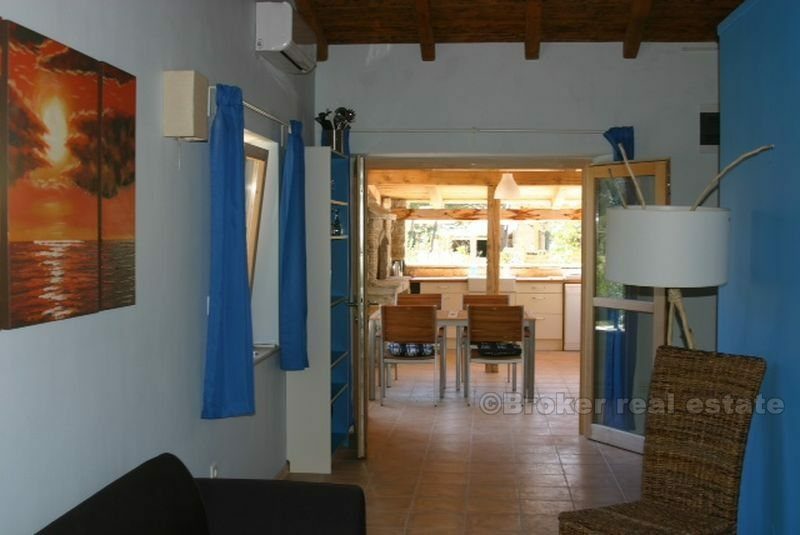 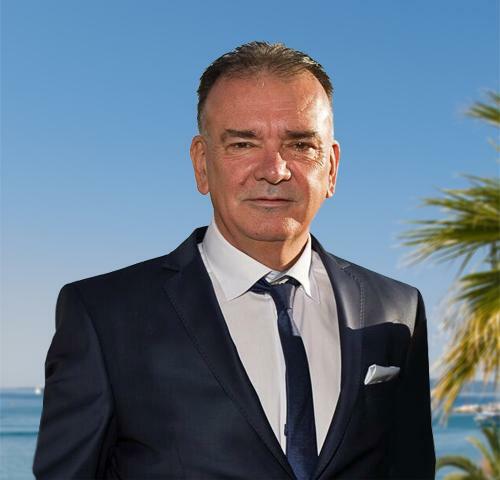 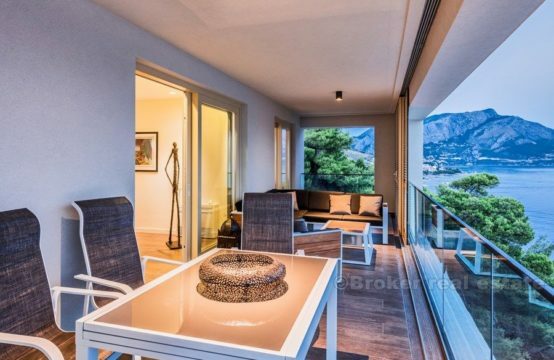 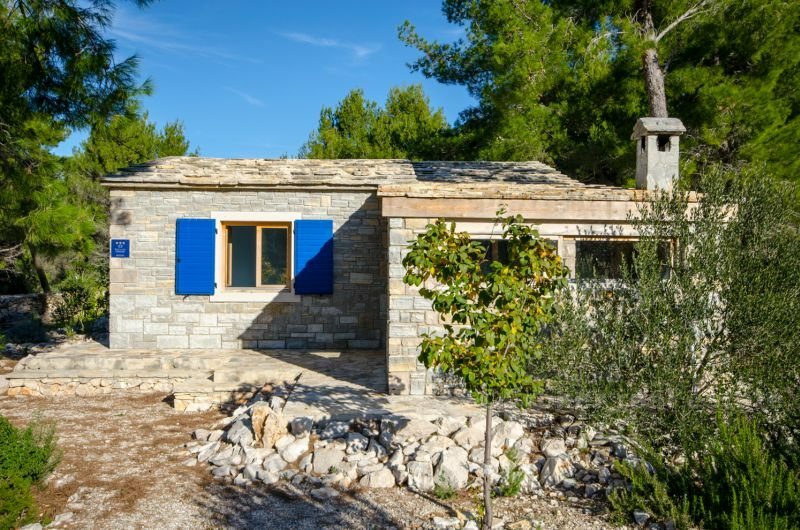 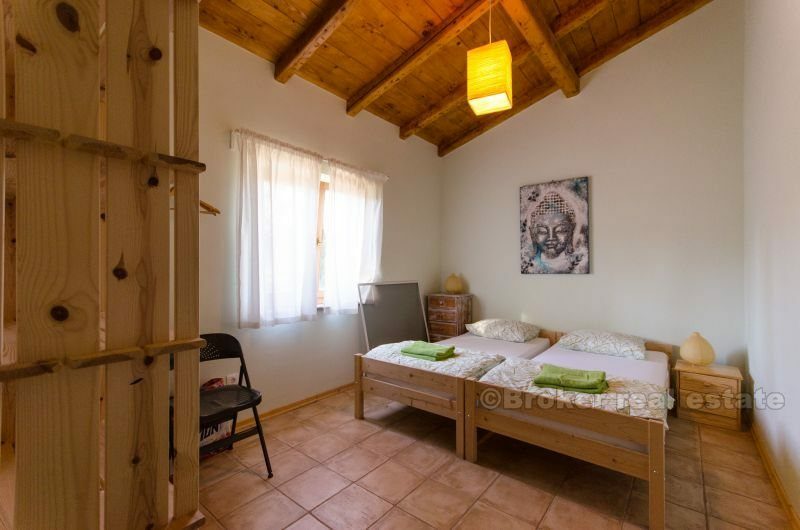 The property is rented from 2013 for an average price of 2,500 EUR / week, what makes a profit of about 30 000 EUR profit from renting (30% of which are maintenance costs and rental services). 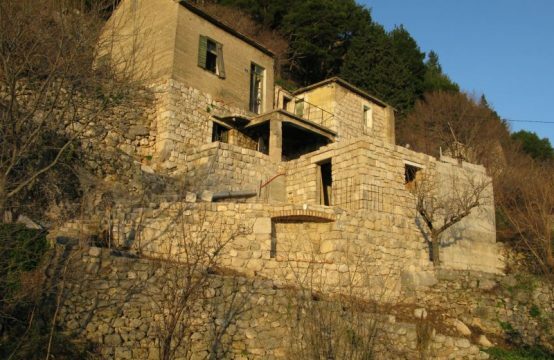 Utilization of the full potential is reached after about three years of renting.